An addictive psychological thriller about a group of women whose lives become unexpectedlyconnected when one of their newborns goes missing. The Perfect Mother by Aimee Molloy is a psychological thriller that easily will have readers on the edge of their seat as the story involves a missing infant. This one is told from multiple points of view including an unknown voice involved in the story. Several women have formed a group that they are calling the May Mothers after the fact that they all met because they were all due to have their babies that May. After the births the ladies would get together to share stories of their children and various parenting tips to try to help each other along the way. On the Fourth of July the May Mothers organized a girls night out insisting that they all needed a break away from the babies just for a few hours. Nothing would happen they said. Everything will be fine they said. Of course things did not turn out fine when one of the mothers returns to find her baby has been kidnapped. As a reader I’ve often said there is nothing more intense than that of a missing child so when I saw this one I knew I should be in for an exciting ride. And to hear that the book has already had offers of a movie deal with a big name actress even before it’s published, sign me up please. Just as I had expected the story is one that is easy to get lost in as you read and the only reason I found myself not giving five stars really was a few times during the book I’d lose track a bit of the point of view. It actually was done pretty well though so I wouldn’t let the multiple points of view scare anyone away. I also had a slight idea of the outcome fairly early on but never figured the actual who/how it all came about. But when it was all said and done I do think readers are really going to enjoy this one and can’t wait to see how the movie turns out. 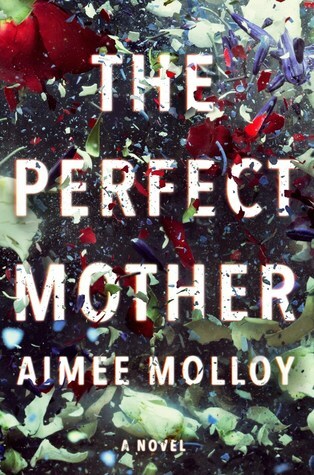 Aimee Molloy’s debut novel, The Perfect Mother, centers around a group of women whose lives become indelibly connected when one of their newborns goes missing. This thrilling novel is being adapted for the big screen by Kerry Washington, who hails it as: “a gripping page-turner that explores the pressures of modern motherhood as well as a mother’s absolute worst nightmare.” Inspired by her own experience as a young mother in Brooklyn, the novel brings to light issues that many women (and some men) face after their children are born—navigating expectations and expert advice around how “best” to raise an infant—in addition to managing one’s career; maintaining a healthy, happy relationship with your partner; “getting back” your pre-baby body, etc. Early readers couldn’t put it down, calling it: “a fast-paced, twisty, engrossing read” (Megan Miranda); “a true page turner!” (B.A. Paris); and “a riveting mystery” (Kimberly McCreight). Harper will publish The Perfect Mother in May 2018. 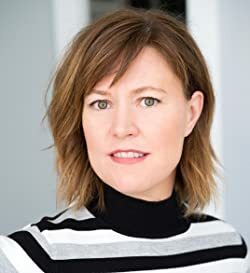 Aimee is also the author of However Long the Night and the co-author of several works of non-fiction, including Jantsen’s Gift, with Pam Cope. She lives in Brooklyn, New York, with her husband and two daughters. Learn more at http://www.aimeemolloy.com. Nice review. Glad you liked it. So many good thrillers lately. I just finished a couple that I need to review. Right to the point review…great facts. Interesting read.